GREAT TEACHING IS HARD WORK. We believe (and the research shows) that the teacher is the most important school-based factor in student achievement. We also believe it is too hard to be a great teacher. All of us on the Goalbook editing team have taught in the US public school system and we've experienced the late nights, the lessons that didn't go as planned, and all the other responsibilities and duties a teacher has outside of the classroom. That's why we want to create the most well-designed, teacher-friendly, and best practice resources out there. 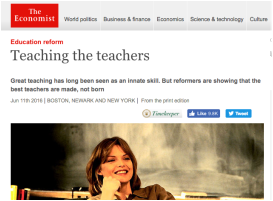 The three articles below present some of the current research on classroom instruction and teacher development. 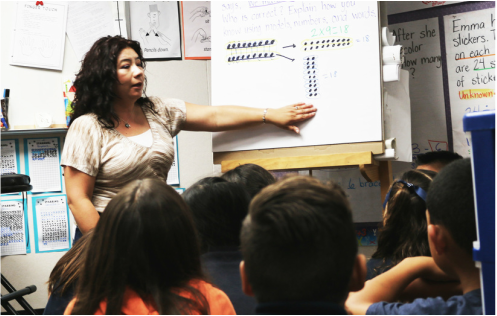 ​They illustrate how our work makes an impact in classrooms around the country. "The literature on how to do this stuff is a giant mountain of goo." 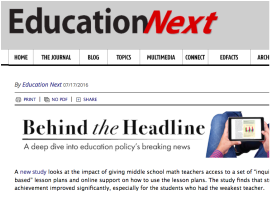 Giving teachers both the lesson plans and support had a positive, significant effect on students’ end-of-year math test scores. We are always learning about new best practices from both research and classroom experience. The instructional frameworks below are of particular importance to us because they cut across multiple elements and aspects of our work. ​is an essential part of how we try to support educators. We recognize that learning standards are a critical component of teacher planning. We also recognize that student achievement, as measured by standards-based end-of-year assessments, is an important concern for the schools and districts with whom we work. Our primary focus is in the instructional shifts brought about by the new standards such as complex text, deep conceptual understanding, multiple representations and methods, evidence-based reasoning, and real-world application. Even though Common Core has been around for a few years, we believe it is still difficult for educators to find high quality materials that align and represent the new expectations set by these standards. We use the Understanding by Design model of instructional design (i.e. Desired Results, Evidence, and Learning Plan) to ensure that our work is informed by standards in a meaningful, efficient, and measurable way. 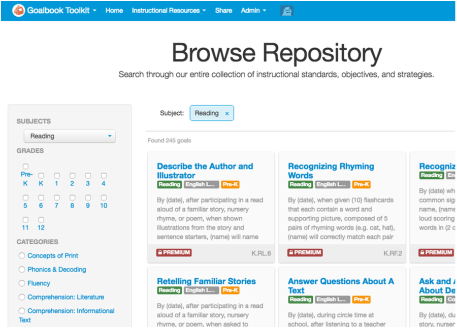 ​We also use corestandards.org as our reference for the Common Core standards themselves. We are huge fans of Universal Design for Learning and believe that variability is the norm and average is a myth. While there will always be a need for specialized supports for individual students (especially for students that have more significant needs), by proactively designing instruction with multiple access points and levels of support we can improve instruction for ALL students. We highly respect CAST (the creators of UDL) and often refer to their online book: Universal Design for Learning: Theory and Practice. We also utilize the UDL Guidelines which articulate specific areas and approaches to reduce barriers to learning. In fact, we are such big believers in UDL that we wrote our own whitepaper (Different Paths Up the Same Mountain) to help educators apply UDL in their own instructional practice. We primarily use the Depth of Knowledge framework to help us analyze the level of complexity and rigor of a student learning task. When it comes to developing our own content and resources, we are mostly interested in the highest two levels of the DOK framework: Strategic and Extended Thinking. We believe that is where both teachers and administrators are seeking to push instruction. However, we know that this is difficult to do and that most classroom resources are at the Recall and Procedural levels (DOK levels 1 and 2). We believe that rigor is not just about making things hard or challenging, but also in providing the necessary support for students. 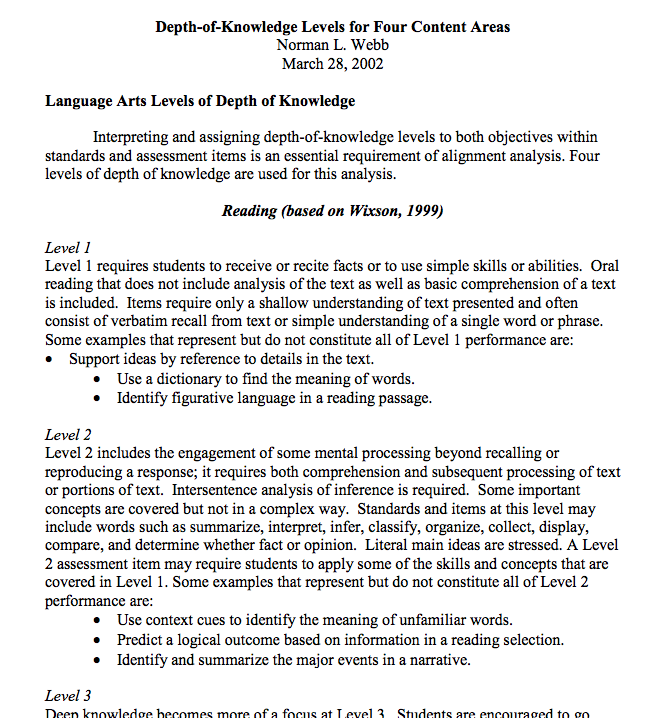 This paper by Norman Webb (who created the DOK framework) is a good introduction of how Depth of Knowledge applies to core academic areas of Reading, Writing, and Math. We believe that an integral part of a teacher's role is to help students not just develop academic skills and knowledge but also to grow in their ability to understand and manage their own emotions and behavior and also form positive relationships with students and adults. This is not just important for a safe, healthy, and functioning classroom where learning can take place. These are important skills and abilities in work and life beyond the classroom. Much of our understanding of Social Emotional Learning ​comes from CASEL. They articulate 5 core competencies of SEL: Self-Awareness, Self-Management, Social Awareness, Relationship Skills, and Responsible Decision Making. We have also found the Illinois Social Emotional Learning Standards as a helpful reference to understand how discrete SEL skills can develop over grade levels. We believe that the US school system needs to be a more equal opportunity environment, particularly for students of color. Moreover, demographic trends continue to add urgency to this issue as there is a growing "diverse majority" (i.e. minority students are the new majority of students in the US pubic school system). We believe that closing these achievement gaps will require real improvements in instructional practice as well as changes in attitudes, beliefs, and expectations. 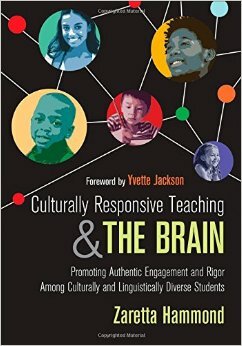 Zaretta Hammond's Culturally Responsive Teaching & The Brain has been our most helpful guide in applying the beliefs and values of CRTL into successful instructional practices that are rooted in brain science. The National Equity Project has also been a great source of resources and research to inform our understanding of CRTL and how it applies to instruction. 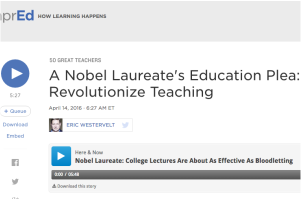 To reach higher levels of learning, students cannot just be passive receivers of knowledge. There must be opportunities for them to investigate, explore, struggle, and apply learning. However, we believe that student-centered learning starts with the teacher. Developing productive, self-directed learners does not happen by magic. While direct instruction is still an important and critical element for student learning, it should be balanced with opportunities for students to engage in their own learning and with their peers. There are a lot of student-centered frameworks we feel are valuable (e.g. Inquiry-based Learning, Problem-based Learning). The framework we find most helpful has been BIE's Gold Standard of Project-based Learning. We feel that the essential elements of a well-designed and implemented project are best practices that can be applied beyond projects (e.g. authenticity, reflection, student choice). No matter how rigorous, research-based, or best practice-aligned our work is, it won't make a difference if educators don't want to use it. This is where we have to put our designer cap on and ensure that the work we produce is attractive, useful, and easy-to-use for educators and students. We conduct user interviews with teachers, analyze our product usage and metrics, and receive feedback from professional development and administrator demos to help ensure that we are making resources that teachers want. 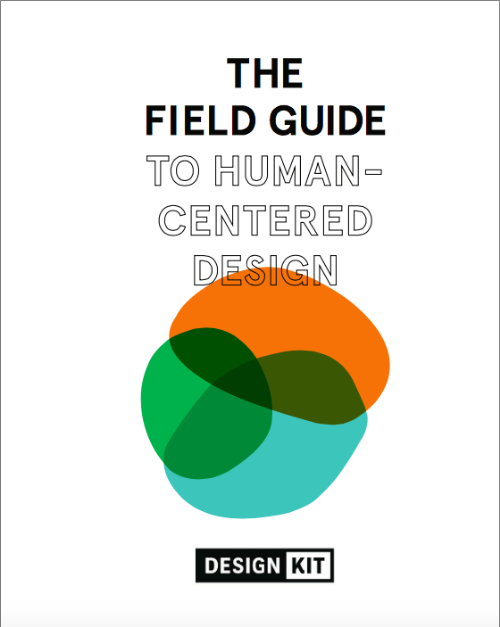 The Field Guide to Human-Centered Design by IDEO captures the philosophies, values, and methods behind the Human-centered Design approach. We also learn a lot from the writings of the product design community. Julie Zhuo (Product Designer at Facebook) is one of our favorites. We really identify with her article, Junior Designers vs Senior Designers. This is where all our work comes together. We highly recommend that you get a feel for our products before you complete a submission. 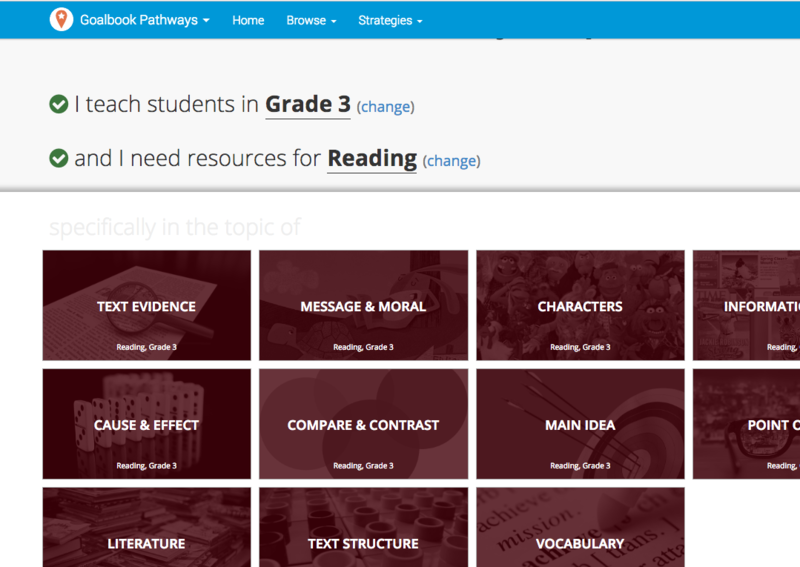 ﻿Goalbook Pathways is a school-wide program tailored to help educators design rigorous and differentiated instruction for all students. ﻿Goalbook Toolkit guides educators working with specialized student populations to vary the levels of instructional support.